If your doctor thinks like my local internist does, your blood glucose level will likely be tested under fasting conditions, otherwise called your Fasting Blood Glucose Level. If you are a bit luckier, your doctor will also run a HbA1c (Hemoglobin A1c) which reflects the amount of glycated (basically sugar coated) red blood cells you have had in your system for the past 60-90 days. Unfortunately, both tests are not totally predictive of who has Insulin Resistance (IR or prediabetes) or Type 2 Diabetes (T2DM) and who does not. Besides that, we do not live in a fasting world and I want to know how my blood glucose is metabolized when I have consumed carbohydrates. 2-Hour Oral glucose Tolerance Test (OGTT) - You can do this at home with (2) 12-ounce cans of Coke or better yet, have it done at a Quest Labs for $69.00. Kraft Prediabetes Profile - This test runs about $200 and looks at your fasting glucose as well as you glucose and insulin over a 3-hour period after consuming 100 grams of a glucose solution. The biggest problem you may encounter is explaining to your doctor that their way of running FBG and HbA1c is not that accurate or predictive. I had an OGTT and Kraft test done and I turned out to be diabetic when I had relatively normal FBG and HbA1c. Dale Bredesen told me about strong evidence that up 100% of dementia could be due to insulin resistance. What about those cases of dementia where there was no documented IR had occurred? They showed a thing called “CNS insulin resistance” It’s a condition, well doc, where the neronal membrane insulin receptor does not function properly. IRS (Insulin Receptor substrate) is abnormal. And there is a problem with a serine/threonine ratio indicating this as well. My reaction? Very interesting. But I bet these cases never had an OGTT, let alone a Kraft Insulin survey. If they had, they would not have been “undocumented IR” cases. Quite sure that you are correct on that they did not have a OGTT or a Kraft Insulin assay. If they had, they might find that it is just not the central nervous system that is effected with IR, but muscles and organs in a person's body. IR just isn't isolated to one part of the body like the brain. They likely wouldn't be burning up their brain neurons and tissues, arteries, eyes, kidneys, nerves, etc. if they had gotten a test that was truly diagnostic. If they had, they likely would have received treatment. My dad died at 79 last year. A very healthy, active and brilliant man. Never overweight and exercised and ate pretty good. He did love a Costco cookie (half) after dinner. Diagnosed with dementia 4 years ago. His doc never ever told him he had IR or T2DM.....and I know his blood glucose was raised. And this was his doc for the last 12 years. So terrible, I feel robbed due to his negligence. I just got another round of blood tests back...my liver already back to normal...but my A1C climbed from 4.9 in Jan. to 5.8!!! And my FBG was 119! I do low carb, HIIT, my BMI is 20.1 -- Does this mean I can't do it alone and need metformin? I have some left from when I stopped taking it. But, my doctor here thinks my numbers are fine and won't prescribe me any more. My insulin measured 3 which was optimal. My fibrinogen was optimal as was my hs-crp , Vitamin D, homocysteine and creatinine. My ferritin is 66 and should be less than 61 seems like an easy fix, but I don't take iron supplements or eat meat?? Anyway, everything seems to be fine except the blood sugar. Last edited by Robin; 12-03-2018, 03:00 PM. I don’t record what I eat but it’s pretty simple stuff. I don’t eat breakfast and lunch is usually a bowl of yogurt with a few berries and grain free granola (nuts and seeds) or I have a hard boiled egg and cottage cheese or veggies like celery and cucumbers with olive oil hummus. I will have a snack of homemade low carb bread with nut butter or no grain chips with guacamole (whole half). Dinner is low carb veggies and a protein. I mean my vegan diet with high grains was tested this January and my a1c was 4.9 and THEN I started the low carb diet. Very alarming and frustrating-I did test a couple times at 1 and 2 hours after pasta and rice and my glucose was 150-160. I don’t feel I can eat any less carbs now. Super disappointed after all this effort. Yes, it sounds simple and benign, but is it? Check the carb content of everything you eat and drink. Then test everything you eat and drink at 1 and 2-hour. Yogurt should be Greek style, plain, full fat and unsweetened, Keep berries to 1/3 cup servings and unsweetened too. Granolas can be sugar coated too. Some no-grain tortilla chips can be higher carb than regular chips. That 20% jump in A1c has a root cause. Read labels carefully. Thanks John, I read every single label on everything I buy...my husband thinks I'm nuts. I get a special brand of granola (and only use a large tablespoon for my yogurt topping...and yes, only 6 blackberries and full fat greek. That's exactly it. When I eat my homemade guacamole I use about 6 chips to eat the entire half or sometimes full avocado depending on size. I snack on almonds and olives and occasionally a piece of cheese. Funny thing is, as a vegan for 15 years I ate lots of rice, grains, corn, used tortillas, made vegan lasagna...pasta salads...and used all "fake" meats. My FBG at each year check up for the last 6 was about 102.....then I start the low carb high fat diet, and keep my exercise pretty much the same....5 mile walk (hills included) a day and 3 x a week 15 min. HITT routine and 2 x a week, dumb bells workout (10 min)... Now I make Low carb breads every week using almond and coconut flour or whatever the recipe calls for. I never eat pasta and may have a tablespoon of rice once a week under my roasted veggies. I eat a lot of coleslaw that I make with full fat olive oil mayo and red wine vinegar....I follow a couple low carb recipe sites for every meal. But with all this, my FBG has crept up to 104 and the highest yet was last week at 119. (Now I read on lots of low carb sites that FBG readings can be higher if on low carb but the A1C should be low. ( How on earth does mine go from 4.9 prior to low carb to 5.8 on low carb in 11 months is my question. My insulin is very low. Also my cortisol I believe is low...high cortisol can raise BG I think. I'm tempted to revert back to grains and pure vegan again (no dairy, cheese, eggs, fish) and test again in 6 months to see what changes. Maybe it's a genetic thing? But, my whole journey here started because of my dad's diagnosis and death of Lewy Body Dementia at 79...and he was always a healthy and fit man and never had cancers or any other diseases. So, It does make me wonder more about genetics. My doctor here won't prescribe me any metformin. He said my labs look great. I go to a naturopath and she will work with me to lower it, in "other ways" .. I guess, I will find out what she says later this week when we meet. There are a few things that might impact blood sugar numbers going in the wrong direction. The first is simply continuing to develop insulin resistance. It does continue to get more challenging as we age. Another, especially with a low BMI like 20, is the dawn effect. Intermittent fasting with skipping breakfast can sometimes worsen the dawn effect. It's due to a release of cortisol, the stress hormone. Profiling the daily blood glucose pattern with fingerstick or continuous glucometry can often help tease that out. I agree, with what I have learned from you and John, but wouldn't the A1C balance that out? I eat dinner around 6:30 and lunch the next day at noon...and it's a healthy fat meal. I'll keep trying but I never thought this new lifestyle would increase my A1C this much. Just read your posts here! sorry to hear about the frustrating results, especially after youve put all this effort into making changes for exactly this sort of reason. I definitely can sympathize with how much of a letdown it can be when you put a lot of attention into lifestyle and the benefits don't seem to show up. Just two thoughts i figured i'd mention. before i do, though, it's worth noting that im not a doc, or certified in nutrition or any field like that. i'm studying to be a nurse and take a lot of interest in reading about and practicing prevention, but what follows is really just my take. the first thought ties into what dr brewer mentioned here re. skipping breakfast. i saw a recent metaanalysis (here: https://www.ncbi.nlm.nih.gov/pubmed/30418612 ) that found an association between skipping breakfast and diabetes. A short quote: "type 2 diabetes increased with every additional day of breakfast skipping, but the curve reached a plateau at 4-5 d/wk, showing an increased risk of 55% (summary RR: 1.55; 95% CI: 1.41, 1.71)." Perhaps the major mechanism here is what dr brewer mentioned. with this info, i figure that the question for someone like you becomes how to balance the benefits of fasting with the apparent risks of skipping breakfast. Of course i'm not sure and i don't have concrete answers, but maybe a different fasting pattern would help, eg, early dinner and no food between dinner and breakfast? second, i've also felt the pull of both vegan and low carb diets. there's so much information (and frankly, hysteria!) around diets these days. in short, my take at this point is that there is a lot going for both low carb diets and healthy plant based diets. both seem to me have some good research behind them, both seem to have been very helpful for some groups, and both seem very well suited to certain people. I tend to be skeptical of people who preach in effect that there is only one truly healthy diet pattern for all people. my suspicion is that low carb will tend to be a better diet pattern for older folks, as age often brings glucose metabolism issues (IR) and the onset of neurodegenerative issues which low carb seems well suited for. but perhaps something closer to your vegan diet just fits you better. I'm sure you've considered that; in short i just figured id mention that my sense is that some people respond exceptionally well to these diets, and some people seem to respond better to different diets. (full disclosure: i'm mostly vegan; i focus on lots of whole plants (veggies, fruits, nuts/seeds), tea/coffee & protein; some beans/intact grains; and try to limit refined carbs, added sugar, and liquid calories). it's also worth noting that a vegan diet doesn't have to be low fat, very high starch, like some proponents push -- I rarely eat refined carbs, and intact grains/root vegetables aren't staples of my diet. OK. High FBG can have multiple causes, but not an A1c. If you are 100% convinced you are following a very low carb diet consistently then retest your FBG and A1c. It’s dirt cheap and you don’t need a doctor’s order. If you are still skipping breakfast you may be setting yourself up for failure. Here’s how. Thanks John, I'll wait a month and get a new test. I'm very close to a lab. I was convinced that IM fasting was healthy for everyone. Maybe not? Found my way here by way of another forum about 12 months ago. 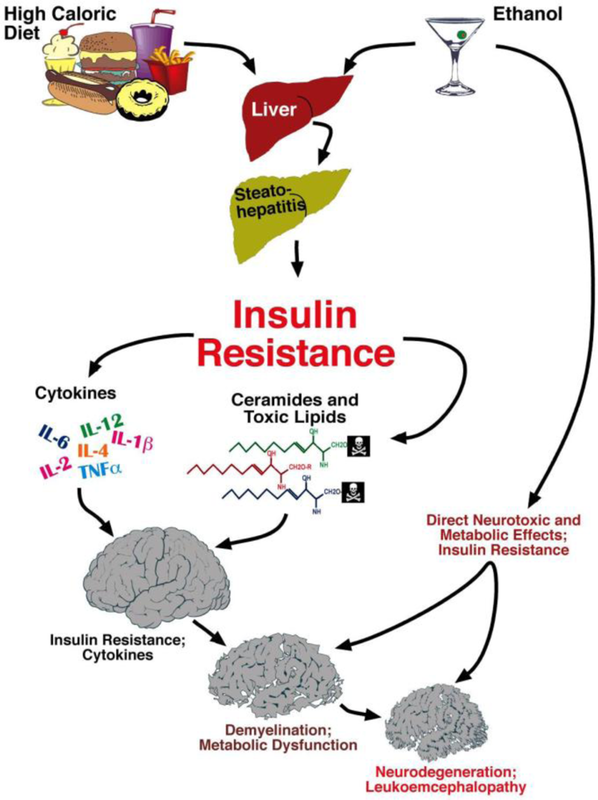 I have many of the same concerns discussed here: CVD & insulin resistance. Watched many of Dr Brewer's videos and follow other folks with similar thoughts; e.g, Ivor Cummins, etc. I've been low carb >5 years. Had success at first (lipid improvements, lost all belly fat, FG low 90s, CAC=0), then it all seemed to go wrong per lipids & FG. I started to do annual NMR in 2014: LDL-P seems to rise annually, with increasing % small particles. FG exceeds 100 typically now. I even had a frozen shoulder. Tried various functional med doctors. None thought FG>100 was a problem as long as it wasn't >120. Got a CAC at Dr Budoff's facility 4/2018 with a 256-slice CT and scored a 16. I think I need to do more than low carb, VitD and fish oil. The protocol I was following (other forum) is not working. Your video describing your own CAC reduction got my attention. I am thinking of doing the Kraft test from Meridian Labs (ML). I never did OGTT because of my LC diet (lack of doctor interest as well). Most LC advocates say OGTT results are skewed if you do long term LC. 1. Is the Kraft test valid if you do low carb? 2. Are results interpreted differently if you do low carb? 3. I would expect Dr Kraft's data is based on serum glucose/insulin assays. Meridian Labs offers serum (go to a draw lab) & finger stick (self). Do dried spot results match serum results? Is the finger stick option representative of Dr Kraft's data? I also need a doctor, but don't know where to turn. I have filled out a lot of new patient forms for one disappointing visit. which indicates LC diet skews the Kraft test result. Not sure what to do as a result. Cyclist: Welcome. If you are indeed on a very low-carb diet then do the following before an OGTT or Kraft Test. Eat a regular diet that includes at least 150 grams of carbohydrate daily for three days prior to the test. Fasting should be observed prior to collection for 8-14 hours. It is advised to discontinue, whenever possible, all nonessential medication that can affect glucose metabolism at least three days before testing. Doing this adds validity to the test results. Of course, go back to a low-carb diet after the test. The dried blood spot or blood draw Kraft test are both valid indicators. I used the blood spot method.